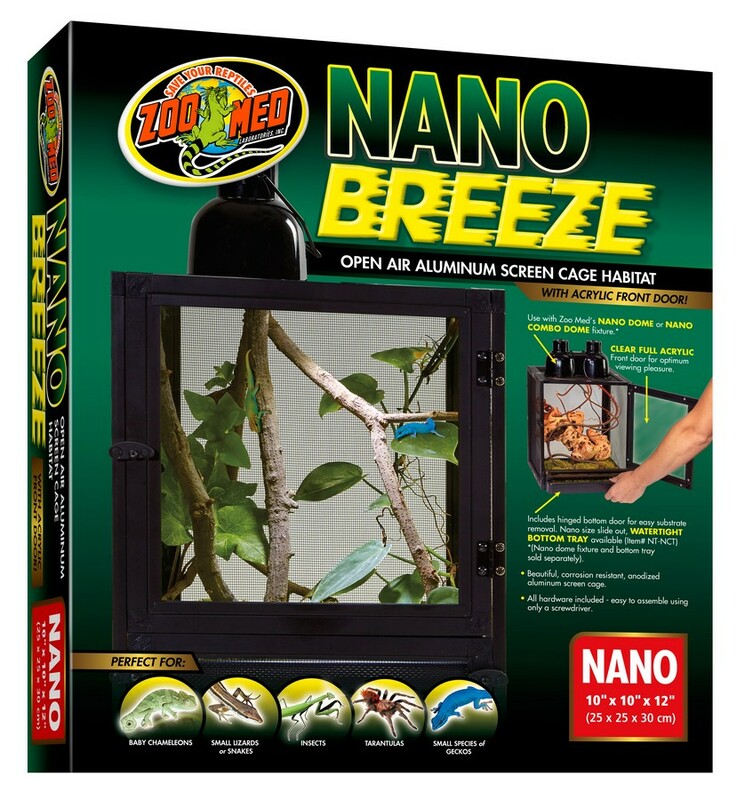 Nano Breeze | Zoo Med Laboratories, Inc.
Our popular ReptiBreeze screen enclosures now available in Nano size! Beautiful, corrosion-resistant, anodized aluminum screen cage. Clear, full acrylic front door for optimum viewing pleasure. Works great with Zoo Med’s Nano Dome or Nano Combo Dome Fixture. Hardware included, easily assembled with a screwdriver. Need help setting up Zoo Med’s ReptiBreeze® screen enclosure? Check out the video below for a quick step-by-step.